We as a reputed company are offering Washer Type Thermocouple which is most suitable for continuous measurements ff Flat-surface temperature. In reducing, sulfurous atmospheres it is necessary to use this product because atmosphere with reduced oxygen content promote the so- called “green-rot corrosion which is far away with Washer Type Thermocouple. It ensures reliability and durability. 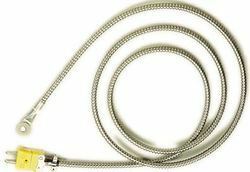 we are manufacturer of Washer Thermocouples. Manifold tip is specially made in S.S / brass matl. Types J, K , T.
- All possible places where heat has to be measured. 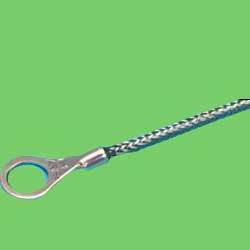 Organization is engaged in offering a embellished range of Washer Thermocouple. In this type of thermocouple assemblies the junction is directly brazed to washer which can be easily tightened io the measuring surface. The cable is covered with PVC sleeve.